Figure 1. Closing White Marubozu (basic candle). 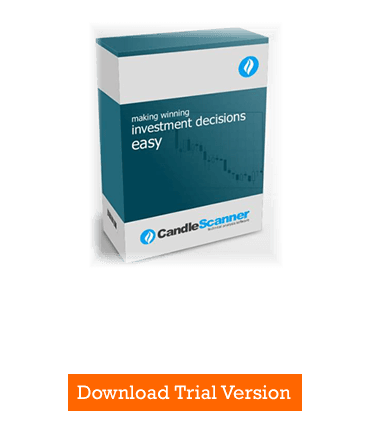 This article describes the Closing White Marubozu basic candle. Closing White Marubozu is a candle belonging to the marubozu group. Depending on its appearance on the chart and how the lower shadow looks, it may predict a continuation of a trend or indicate its reversal. The candle stands out because of the absence of the upper shadow, but it must have a body covering at least 51 percent of the full candle height. 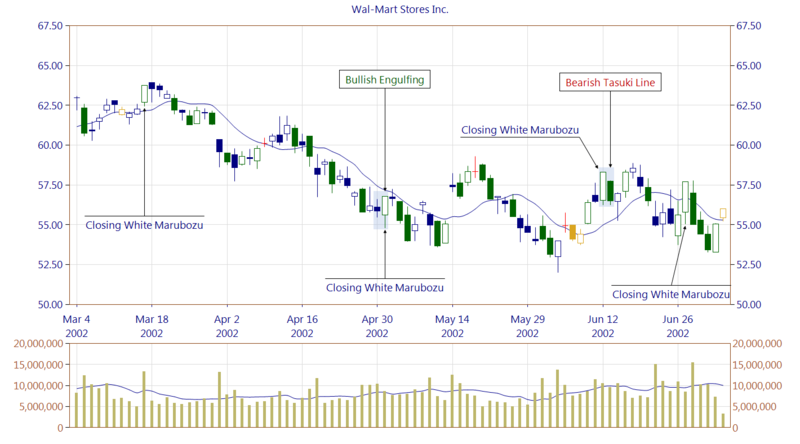 If a Closing White Marubozu candle appears in an uptrend, it is a much stronger signal of continuation of a trend than the Opening White Marubozu candle. This is because the high price and the close price are the same (no upper shadow), which means that the market has maintained its strength until the end of the session (if we consider daily charts). Figure 2. Closing White Marubozu basic candle occurring within the Bullish Engulfing pattern and the Bearish Tasuki Line.